Personal coaching with me, where I help you get the results you want in your home, getting you and your life organized. I understand the struggles of being a working mom, wanting to run a smooth house easily, and still make it all look good while doing it. I will show you what works well and what doesn't. If you want to organize your life and home, I can help you. When we work together, you'll get a step by step plan for what to do. If you're feeling overwhelmed, I'll walk you through how to build a routine that works for your family. If you're already running a pretty organized ship, I'll help you fine tune the little things that cause you stress each week. You can choose any of these topics to discuss. We can go over as much as you want during the session. This is your time, so you get to decide exactly what you want out of the session. I turned our 2 working parent chaotic life into a well organized home. 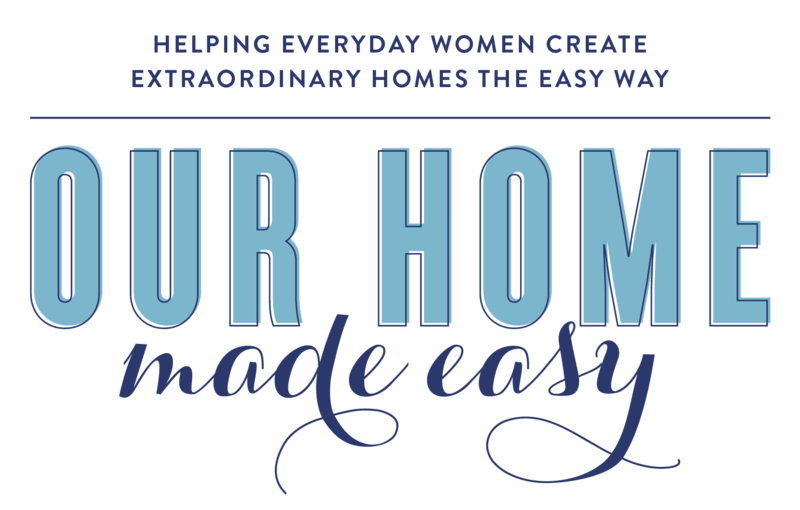 I went from frazzled mom to feeling confident to helping organize the home of thousands of other busy women. It all started when I thought "there has to be an easier way to make life work well..."
Since sharing how to make an organized & well loved home look easy, I'm super passionate about helping other moms get their lives back on track. If you want one on one coaching with me, this is for you. Click on "Buy Now" to get started now. What do I get with this coaching program? Personal one on one coaching with me where we'll create a plan for the next steps to take in your home, based on your goals. I want you to succeed. You can get coaching on any topic you want, including Meal Planning, Developing a Working Routine, Organizing Your Home, Productivity, Time Management, Goal Setting, and Blogging. When does the call take place? As soon as you enroll, you'll get my contact information to set up the call within the next two weeks. Don't see your question? Ask me! I used to have time to cook dinner when I wanted and eat out when I didn't feel like making dinner. I had endless amounts of time (and money!) to craft. Then I became a mom-- and a working one at that. Now 'my' time and freedom felt like they were taken away. There had to be a compromise, right? I was convinced I didn't have to give up a great life after kids. I just needed to change my perspective. And that included my husband, too. It was life changing. We went from thinking how are we going to "Just get through the day" to thinking, "This is how we are going to enjoy life & make it simpler for us!" You can still love Pinterest, keeping your home in order, and even enjoying a warm meal at home every night after being a parent. Being a working mom is hectic, but you can still continue being organized, find time to improve your home, and make life easier. I can't wait to show you!